Oppo U3 (6607 is an Android-based smartphone from Oppo Mobiles come with MT6752 CUP' having Android 4.4.4 KitKat just because it,s MTK based phone so we share it,s scatter based firmware for any MTK flashing tool or box you can use to flash this phone we also share flash tool download link on this post if you want to flash this phone at home then you can download it. Flashing of this phone is so much easy no need to go any shop for flashing of your phone you can flash this phone at home if you have PC then you just need MTK USB drivers and SP Flash tool which is a free app for MTK based phones flashing if you have a shop then you know better how to flash this phone with any chines flashing tool if your new then we will tell you how to flash Oppo U3 with SP Flash tool on 3rd pear. Before flash any phone if you can tack full backup of your data if you have a flash box like CM2 MTK tool first of all backup your phone flash file in case after flash if your phone did not boot then you can write that file it is my personal experience some time ok and tested firmware did not work on same mobiles that why tack full backup after flash phone work will then delete backup file this tip is for your safety form your customer. How to flash Oppo U3 with SP Flash Tool? Download flash file form giving a link. Click on scatter loading and select MT6752_Android_scatter_emmc text. Then click on Download never click on format all and download phone IMEI and other data will be lost at that option same time if bootloader did not upload your phone boot can be death. That firmware update is only for only in Oppo U3 (6607 don't try to install that firmware on other models of Oppo Android devices that can destroy your phone first try to make full reset your phone will start normally after resting if your phone did not work will then make full flash then your phone will work well. 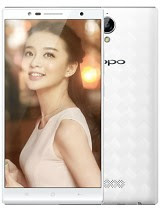 DOWNLOAD Oppo 6607 Official Flash Tool.